Straight out of my collection of supercabs! 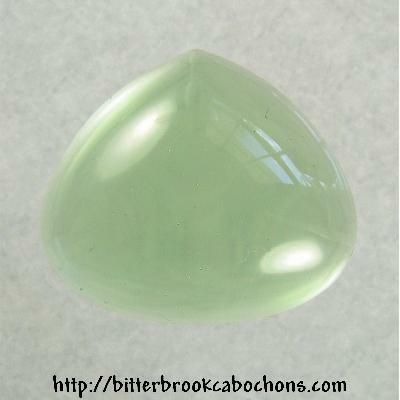 This green Glass cabochon was very difficult to photograph. It's the same color as old ginger ale bottle glass: very pale and clear. Freeform fat-teardrop cut. Nice! 22mm x 25mm x 7.5mm. Weight: 28.85 carats.